Private bedroom and bath. 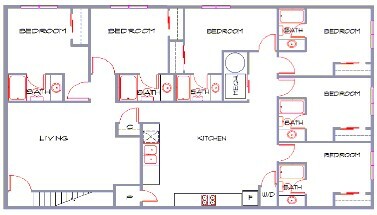 Six bedrooms and bathrooms in each apartment. Clean and well maintained. Fully furnished with nice furniture. Washer and dryer in each unit. FREE PARKING.